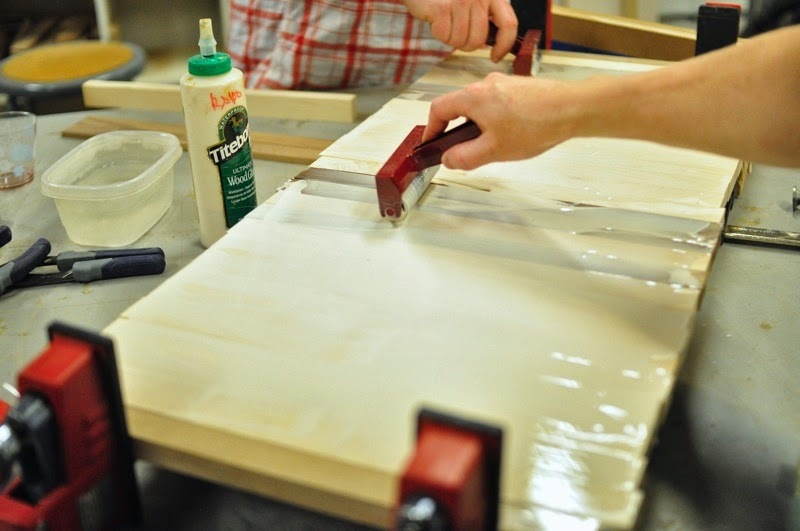 Join me and make your own custom Kentile cutting board over two Friday evenings - February 17th and 24th, from 7:00-10:00pm. You can monogram it (or not), add more stripes, do neat things with the grain patterns, or tweak the dimensions a bit. Make something you want to live with. In the first class we'll talk about types of cutting boards, maintenance, and the techniques we use to make them. Shop safety will also be covered in depth. We'll then arrange and glue up our boards. In the the second class, we'll sand the boards, add the hand holds, and apply the oil and beeswax finish. It's a great way to round out the week, and also fun because we'll have some wine and some of my favorite local snacks. There will be future versions of the class to be done in conjunction with Cut Brooklyn - you make your custom board, then use it in a knife skills class at Cut.